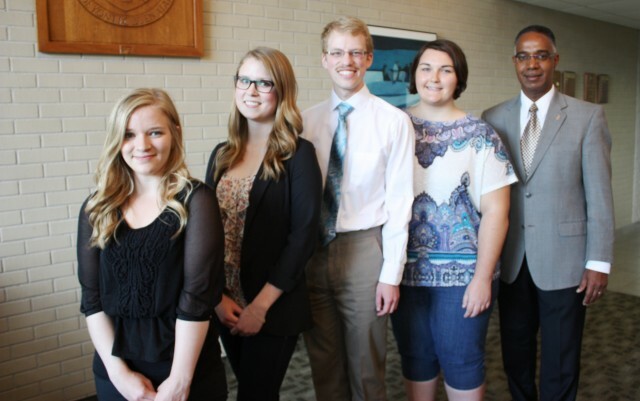 BRANDON, MB – Students from Brandon University (BU) have been honoured for summer research projects, which include understanding drug resistance and creating new synthetic materials to build better computers and medical diagnostic equipment. 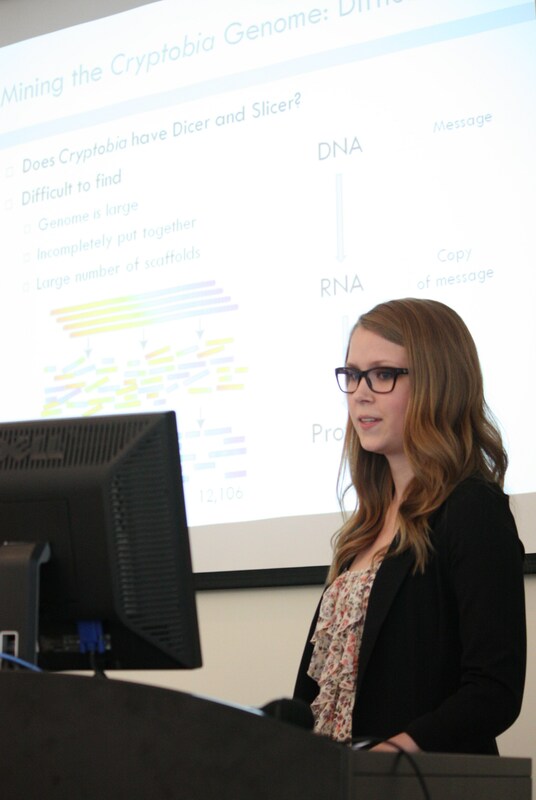 A reception and research presentation was held for seven BU students sharing $31,500 in Undergraduate Student Research Awards (USRA), plus almost $8,000 in awards from Brandon University. 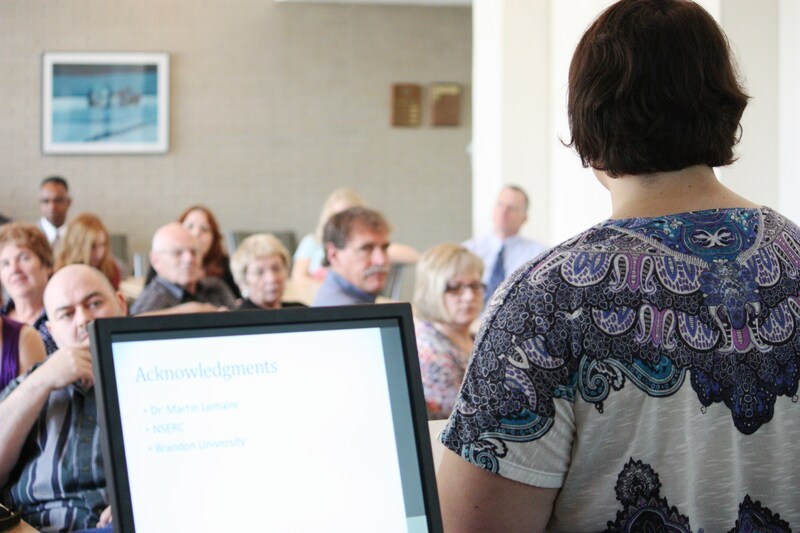 Students spent sixteen weeks doing research under the direct supervision of a BU faculty member. The Undergraduate Student Research Awards (USRA) are given annually to high achievers by the Natural Sciences and Engineering Research Council of Canada (NSERC), to encourage graduate studies and research careers in the sciences. Dr. Martin Lemaire, Department of Chemistry, has been working with two students to develop new materials which could revolutionize the electronics industry. 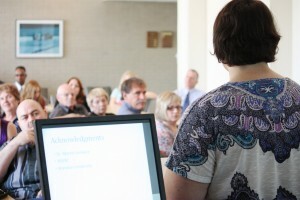 He expects both students will be able to publish their work, a significant milestone for undergraduates. “This experience is definitely going to help me decide whether I pursue a master’s degree or move right into the workforce”, says Danielle Sharanowski, a third-year science student researching drug resistance with Dr. Bernadette Ardelli, Department of Biology and fellow student Katrina Cristall.